The theme for this year’s annual meeting was: “Future fundamental rights priorities in the area of freedom, security and justice – The contribution of civil society”. The conference was held over two days and was divided between panel discussions and various working groups. – Have a good story and work closely with the media. Panel discussions started later on in the afternoon. The first debate focused on the ‘effective implementation of existing legislation and better cooperation.’ Most recognized the need to bring human rights on to the table, even when discussing security and justice within the EU. It was also emphasized that the EU must collaborate with CSO as they are, as Salla Saastomoined, Head of Unit DG Justice Fundamental Rights and Union Citizenship said: “closest to what is happening in the Member State”. The day ended with a presentation of the candidates for the next Advisory Panel elections. Day 2 started with the participants carrying out their duties and voting for the new Advisory Panel. The rest of the morning was spent learning the various practices which existing CSOs are effecting in ‘The Floor is Yours’. The possible risk factors and successes were analysed in making fundamental human rights part of the area of freedom, security and justice. The conference ended with the handover of the Fundamental Rights Panel Advisory Panel and welcoming the newly-elected members and a closing note by Morten Kjaerum, Director of FRA. Being the first time I had the opportunity to attend a FRA conference, I found it extremely beneficial and interesting. Besides getting the opportunity to network with active and dedicated persons within the human rights sector, I learned about various topics and got an insight on the position of the different EU Member States. The major obstacles noted from the various organisations are mostly similar as mentioned above. This gave me an understanding on what is needed and our Platform for Human Rights Organisation in Malta, was highly congratulated and encouraged to bring together the various NGOs to overcome some of the hurdles. Documentation is available from FRA’s site here: http://fra.europa.eu/en/event/2014/7th-fundamental-rights-platform-meeting. Malta’s first & only national human rights coalition launched today! Today we launched the Platform of Human Rights Organisations in Malta (PHROM), one of our major projects for 2014/2015. The Platform of Human Rights Organisations in Malta (PHROM) is Malta’s first and only national coalition of NGOs working in the area of human rights promotion. It is an autonomous, voluntary and not-for-profit platform registered as a voluntary organisation with the Malta Commissioner for Voluntary Organisations. Its mission is to provide a national forum for human rights organisations in Malta to more effectively develop, promote and advocate for the values of human dignity and equality. Being Malta’s first and only platform gathering all NGO’s working on human rights issues, it provides members with a strong and united voice on areas of concern, supporting a more effective impact on policy and decision-making. It also provides capacity-building, particularly to grassroots and upcoming NGOs, on the advocacy tools and skills needed to undertake target-oriented human rights activities. As a network, PHROM also facilitates international and regional networking, discussions, research and other common activities. 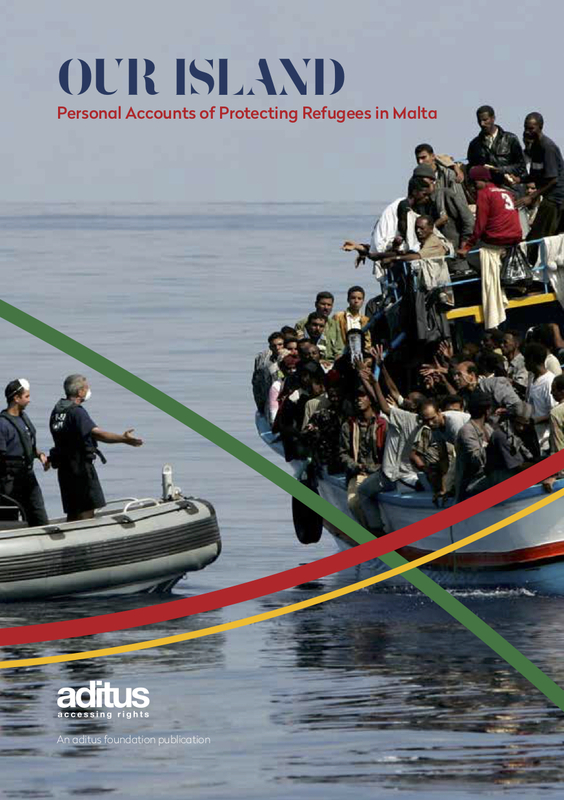 A national focal point for human rights organisations, one of PHROM’s main activities is the publication of Malta’s first ever truly comprehensive and inclusive Annual Human Rights Report. NGO’s working in the human rights sector are encouraged to become members so as to strengthen their advocacy efforts and to achieve a unified voice for various human rights issues and raise awareness, understanding and commitment to human rights in all sectors. Interested NGOs should visit PHROM’s website (under construction) to signup! on Wednesday afternoon, the 23rd April. Please accept this message as your invitation to attend. The launch will be held in Valletta at 13:30, at the Board Room of Din l-Art Ħelwa (133, Melita Street, Valletta). PHROM will be Malta’s first and only platform gathering all local NGO’s which work on human rights issues. PHROM will provide its members with a strong and united voice on areas of concern, creating a meaningful impact on policy and decision-making. At present, PHROM’s Executive Committee consists of five NGO’s, each operating in different areas of human rights protection and promotion. They are Din l-Art Ħelwa, the Malta Gay Rights Movement (MGRM), the Richmond Foundation, Victim Support Malta and aditus foundation. PHROM is an autonomous, voluntary and not-for-profit platform registered with the Malta Commissioner for Voluntary Organisations. Its mission is to provide a national forum for human rights organisations in Malta to more effectively develop, promote and advocate for the values of human dignity and equality. PHROM will also provide capacity-building, particularly for grassroots and upcoming NGO’s, on the advocacy tools and skills needed to undertake target-oriented human rights activities. As a national focal point for human rights organisations, one of PHROM’s main activities will be the publication of Malta’s first-ever truly comprehensive and inclusive Annual Human Rights Report. The Executive Committee encourages all NGO’s working in the human rights sector to become PHROM members to strengthen their advocacy efforts, to achieve a unified voice for the advancement of human rights and to raise the awareness, understanding and commitment to human rights in all sectors. PHROM was made possible through funding from the ‘NGO Fund’, a programme area within the EEA Financial Mechanism 2009-2014. The mechanism aims to contribute to the reduction of economic and social disparities in the European Economic Area (EEA). SOS Malta is the Fund Operator for the NGO Programme in Malta. 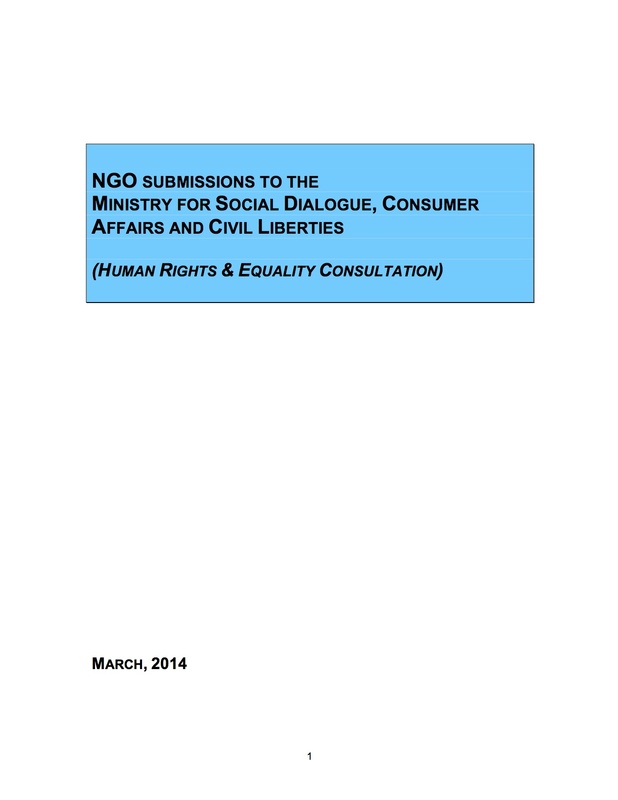 We’re happy to share NGO submissions to the Ministry for Social Dialogue, Consumer Affairs and Civil Liberties, in the context of a national human rights scoping exercise launched some weeks ago. As with our submissions to other such exercises, including to the UPR and the UN treaty-monitoring bodies, we conducted this exercise together with a number of NGO partners: JRS Malta, Integra Foundation, SOS Malta and Richmond Foundation. The document makes extensive reference to submissions we already made to other bodies, and touches on a number of our core human rights concerns. We would like to thank the Ministry for this opportunity to share our views, and look forward to following-up our submissions with more in-depth dialogue. You can read our document by clicking the below cover, or on our Publications page. “When NGOs speak out, it is done on the basis of internationally recognised standards. We analyse jurisprudence and case-law, look at what they are saying and apply them to the local context. These are the opening comments given by our Director, Neil Falzon, to an extensive interview given to The Malta Independent.